Rubber race grips have always been the choice for dedicated skiers, but are never found on adjustable carbon poles—until now. The DPS Nori pole combines rubber race grips with a Titinal upper shaft and adjustable carbon fiber lower for the best of all worlds. 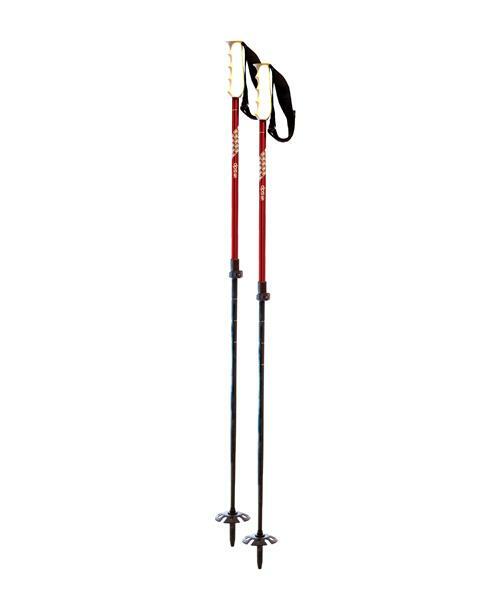 The Nori is a dynamic pole that is equally at home at the resort and in the backcountry—best yet, it weighs only 255 grams per pole. Available exclusively in red, two-toned color combinations. Made in Austria.